Former Major League Baseball All Star pitcher Esteban Loaiza pleaded guilty in San Diego federal court Friday to possession of 44 pounds of cocaine with intent to distribute. In a change of plea hearing before U.S. District Judge Janis Sammartino, Loaiza admitted that on Feb. 9, he took possession of a silver Mercedes-Benz SUV that he knew contained cocaine. He further admitted that he drove the SUV to a townhouse he rented in Imperial Beach, where he transferred the cocaine to another vehicle with the intent to distribute the drugs to another person. Loaiza will remain on electronic monitoring pending his sentencing on Nov. 2. He faces a range of 10 years to life in prison, according to the plea agreement. According to Baseball Reference, Loaiza made more than $43 million over a career that spanned parts of 13 seasons, and he was a two-time All Star. 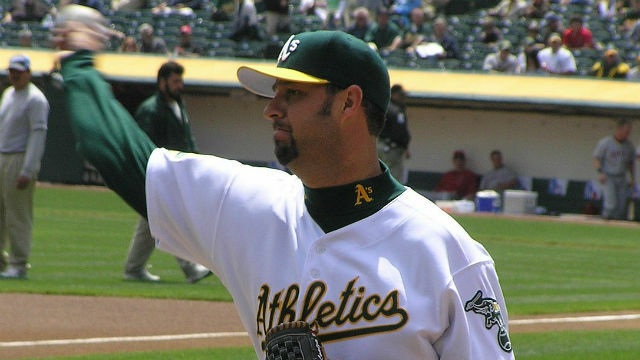 Loaiza played for the Los Angeles Dodgers, Chicago White Sox, Pittsburgh Pirates, Texas Rangers, Toronto Blue Jays, New York Yankees, Washington Nationals and Oakland A’s.